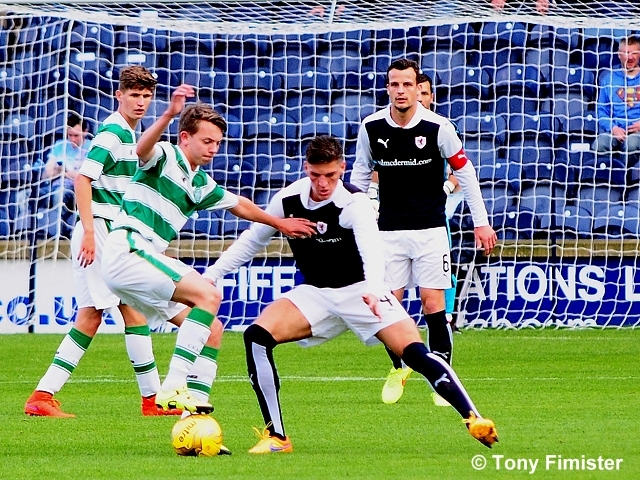 Raith Rovers ended their pre-season fixture list with a 1-1 draw against the Celtic Development side, in an entertaining match that burst to life in the opening stages. 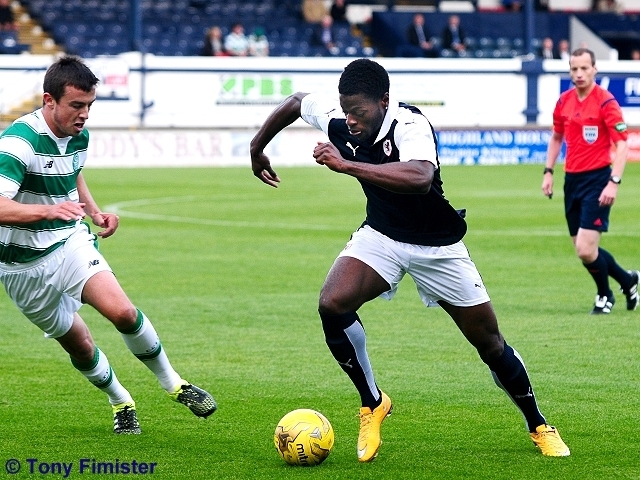 As was the case at East Fife on Saturday, the Raith starting XI was a mixture of experience, youth, and a trialist. 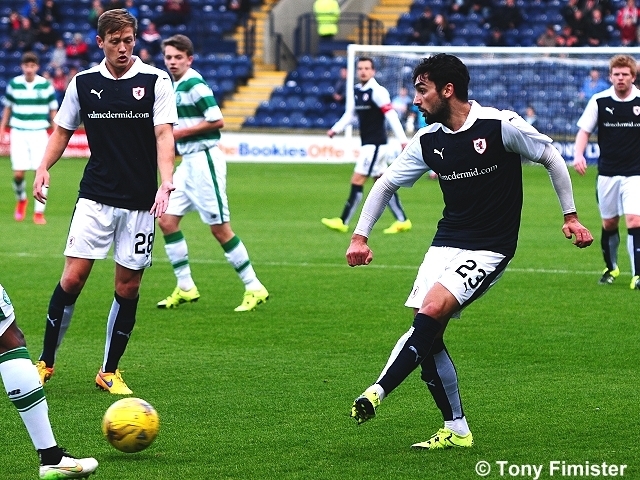 Kevin Cuthbert returned in goals, while youngster, Elliot Ford began the match at right-back. 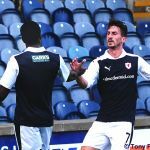 David Bates was again chumming Kyle Benedictus in the centre of the back-four, while Ryan McCord returned to the middle of the park. 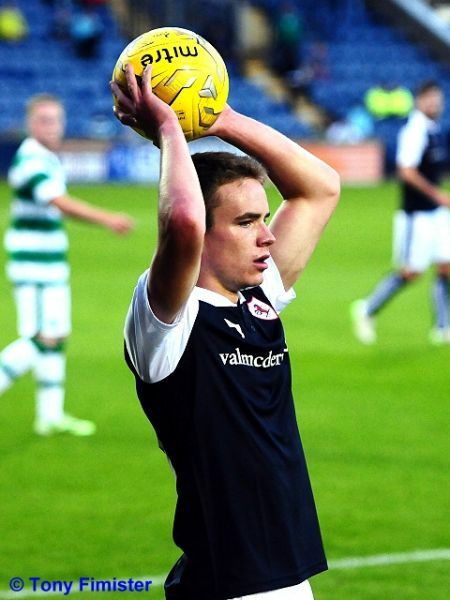 James Craigen was preferred on the left-flank, while Lewis Vaughan was partnered up-top with a trialist. The match was preceded with a ceremony which saw the Main Stand renamed the Turnbull Hutton Stand, in honour of the former Chairman who sadly passed away in April of this year. The vast majority of the names on the Celtic team-sheet may have been new to most onlookers, but as you’d perhaps expect, it was almost immediately clear that Steve Frail’s team were a talented bunch. 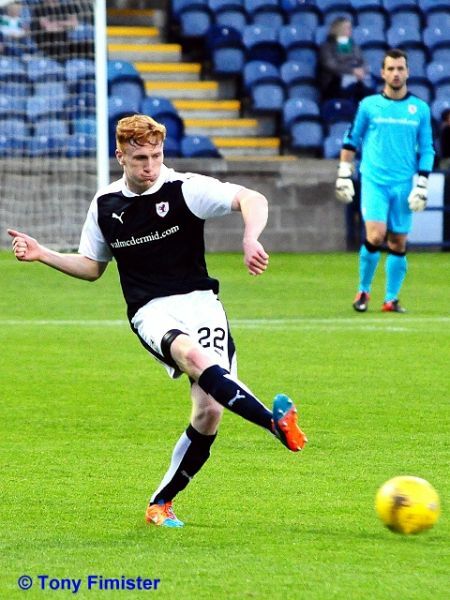 In the opening stages of the match, a misplaced pass in midfield, allowed 18-year old Scotland youth player, Aidan Nesbitt to scurry onto the ball and lash a shot from distance just past Cuthbert’s right-hand post. 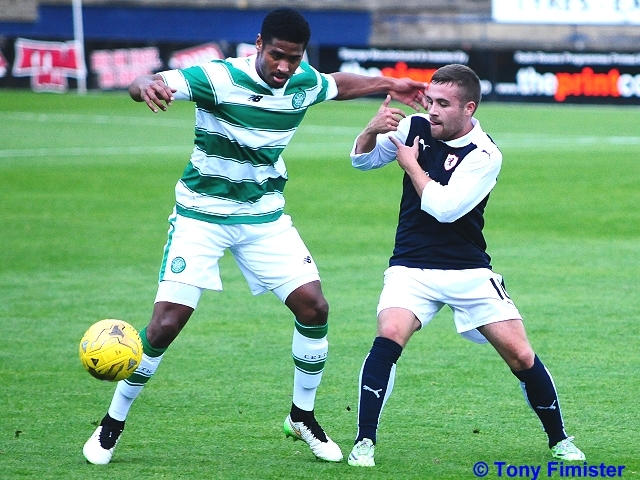 The away side were bossing possession, playing a neat game that was engineered around the flanks, with ex-Manchester United player, Saidy Janko and Joseph Thomson on the right, and Kieran Tierney and Regan Hendry on the left. Janko was the first of the quartet to try his luck after five minutes. 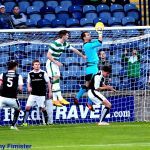 Vaughan initially did well down by his own corner flag, breaking up play and winning back the ball, however, his clearance eventually found the Celtic right-back, but his attempt at goal was wildly inaccurate. 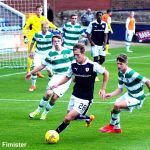 Celtic may have looked the more commanding during the opening part of the match, but while their toing-and-froing had looked all-well-and-good, Raith took the lead in the 13th minute with a slightly more direct approach. Picking the ball up on the left-hand side, the trialist did well to ride a challenge, before heading to the byline and sliding a well paced ball across the face of goal for Grant Anderson, who converted from inside the six-yard box. 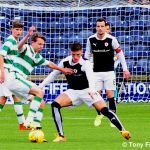 The goal failed to dislodge the rhythm of the match, and while Celtic had a preponderance of possession, Raith’s defence and midfield were keeping chances to a premium. On the left especially, Craigen and Rory McKeown was doing a fine job of restricting Janko’s influence, whilst on the opposite side, Elliot Ford had settled in well. Because of this, Celtic’s shots were all coming from distance, and in the early part of the match at least, they were somewhat wayward. 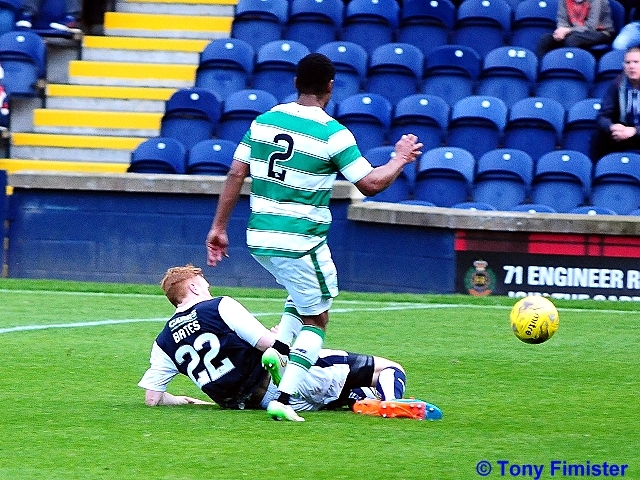 Thomson placed an effort wide after 25-minutes, while Jamie Lindsay blasted over shortly after. 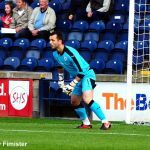 Rovers couldn’t rely on slapdash shooting to preserve their lead however, and with five minutes till the interval, Cuthbert was called into action for the first time, when he excellently tipped over another Thomson blast from distance. Celtic came closer still three minutes later, when a mishit cross from Tierney, made its way towards the far corner, only to ricochet off the post and away. 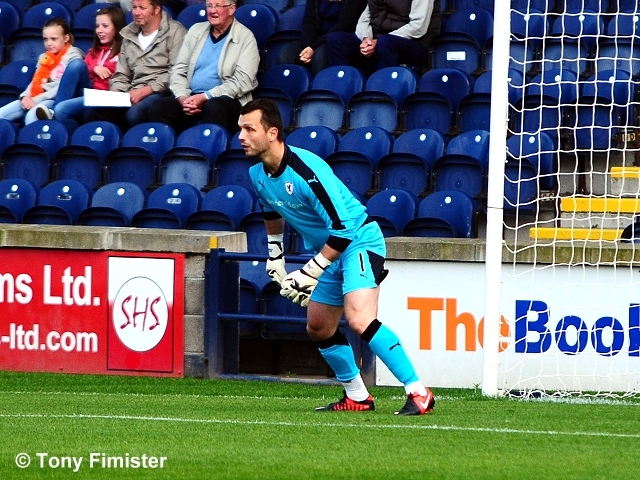 There was one change at the interval, with Lewis Toshney replacing Benedictus at centre-half. 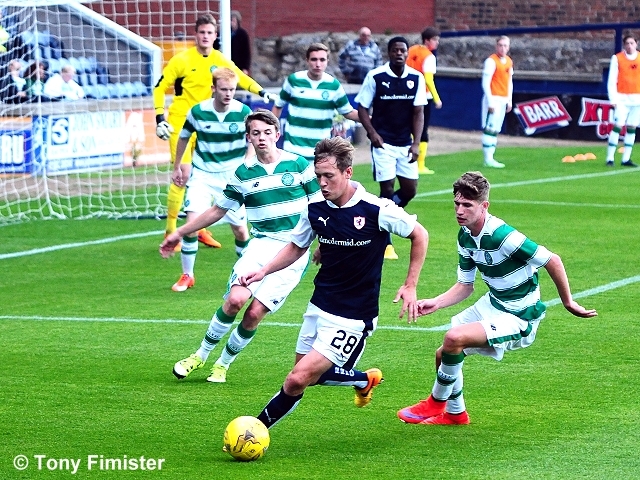 The interval had appeared to do some good to Raith, and they pushed the Celtic backline back in the first few minutes of the second period. 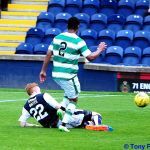 Ryan McCord picked out Vaughan, and with the defenders backing off, he prodded an effort through Janko’s legs that was deflected over the bar. 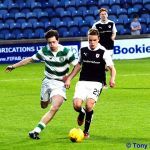 The early forays forward were soon placated by Celtic however, and the match started to repeat the same story as the first, with Celtic playing neat football that was pleasing on the eye. 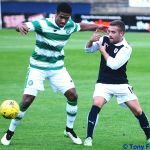 Unlike the opening 45 however, it had more of a cutting edge, and Celtic made the scores all-square with half-an-hour remaining. 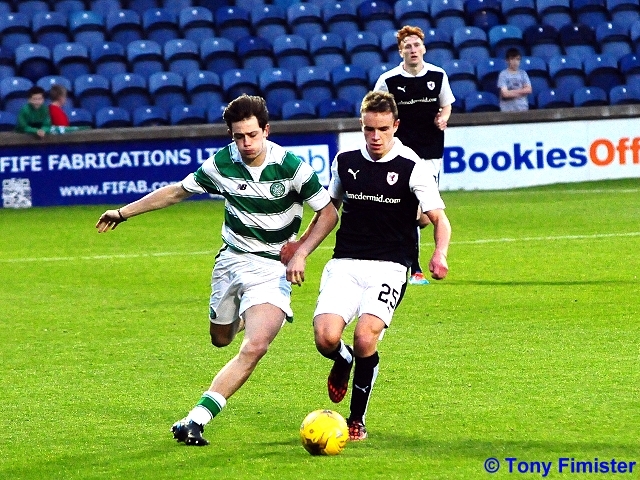 Celtic turned over possession in a dangerous area, 30-yards from goal, allowing Thomson to drift inside and towards goal, before curling a sweet finish past Cuthbert and into the net. Rovers had a great chance to immediately retake the lead, when a poor pass from Eoghan O’Connell went straight to Callachan 25-yards out. 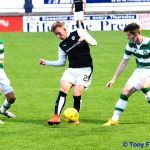 With just the trialist in range to assist, he picked him out on the edge of the box, but his first-time, toe-poke was skew-whiffed wide. With 20 minutes to go, Rovers made a couple of substitutions, with Darren Petrie coming on for Craigen, and Callum Robertson replacing the trialist. While the closing stages of a friendly encounter, normally equate to a slow-down in the action, the introduction of Robertson and Petrie, seemed to inject a sense of brio into the affair. 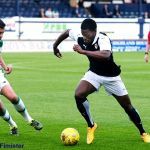 Robertson picked up the ball almost as soon as he entered the field of play, running towards goal, although looking in two minds about whether to go alone or look for assistance. His initial shot was blocked, while Callachan placed the rebound over the bar. Rovers then put together a fine passing move, involving over half the team and numerous passes, which saw the ball go forwards, backwards and then forwards again. At the end of it, McCord tried his luck, but his shot failed to trouble Celtic goalkeeper, Colin McCabe. 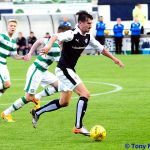 The final five minutes or so became quite frantic, with Raith fashioning an array of chances in the space of a few moments. First up, Anderson did well to break up a Celtic attack, and while he rode his luck, with the ball bouncing off his shin as he hurdled a tackle, he picked out Vaughan and the break was on. 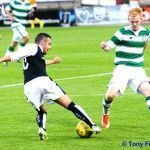 However, despite having a three-on-one advantage, Vaughan picked out the solitary Celtic defender and the chance evaporated. Back came the home side, and Vaughan attempted a snap-shot from the edge of the box, which McCabe did well to parry down to his right. 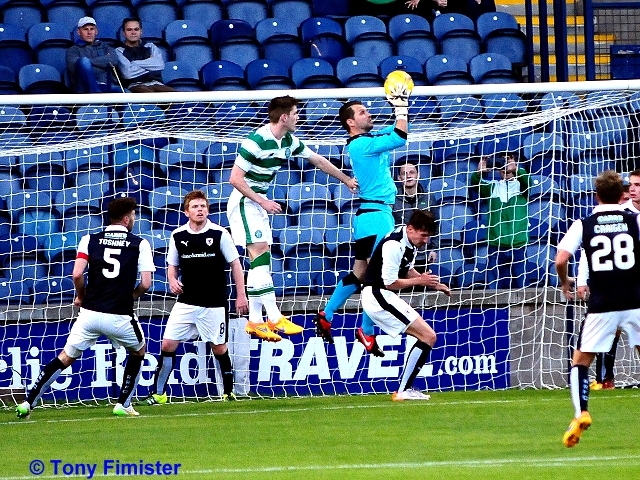 Rovers threatened again, and almost took the lead in comical fashion, when a cross from the left saw a mix up between O’Connell and McCabe, with the Celtic defender striking his own post, with Robertson in close attendance. The final chance fell to the livewire Vaughan, who was again denied at the death by McCabe. 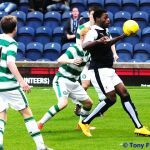 With the pre-season fixtures now out-of-the-way, the competitive matches start this Saturday, when Rovers travel along the road to Central Park, to take on Cowdenbeath, in the first round of the Petrofac Training Cup. Terrific turn by Tony Rialist, and a good ball to the back post for Anderson who smashed it in! Half time. 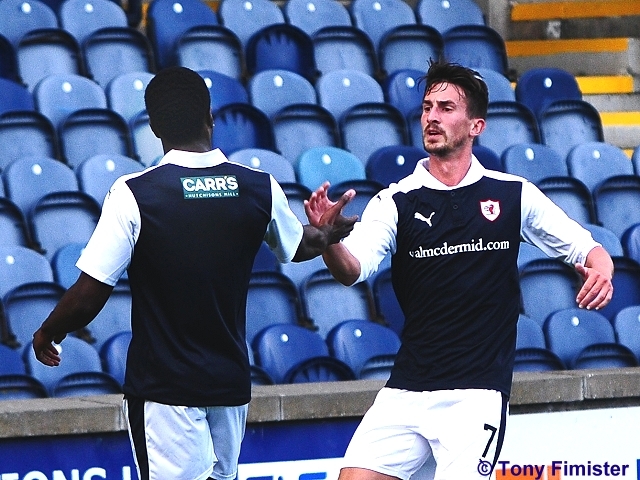 Raith applauded off the park after a decent 45 minutes. 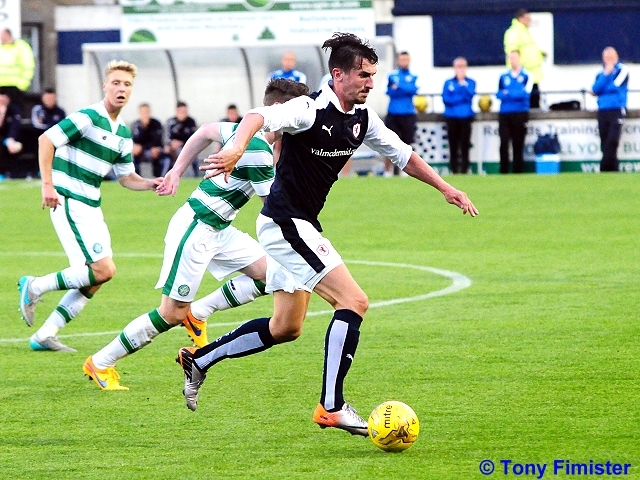 Raith Rovers round off their pre-season fixtures this Tuesday, with a friendly against Celtic, a match which will also see the opening of the newly renamed, Turnbull Hutton Stand. 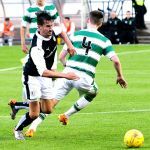 Rovers will be hoping to finish off their summer programme with their first win under Ray McKinnon, against a Celtic team which will likely be similar to the one which disposed of Greenock Morton in a testimonial last week. 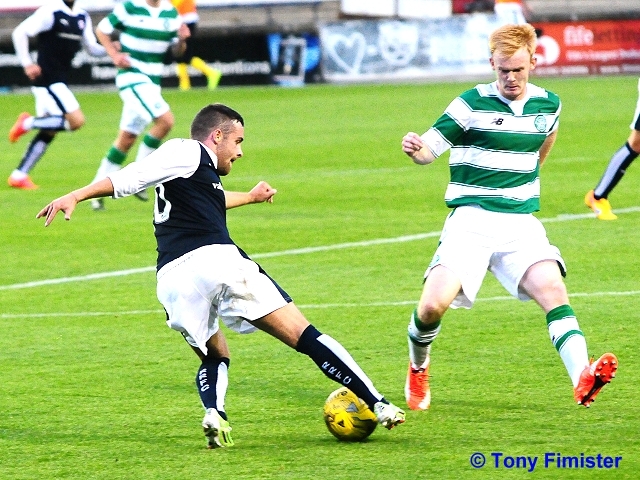 Celtic won the match, a tribute to long-standing Morton kit-man, Andy Bryan by three goals to one, with Anthony Stokes, Stefan Scepovic and Luke Donnely the names on the scoresheet. 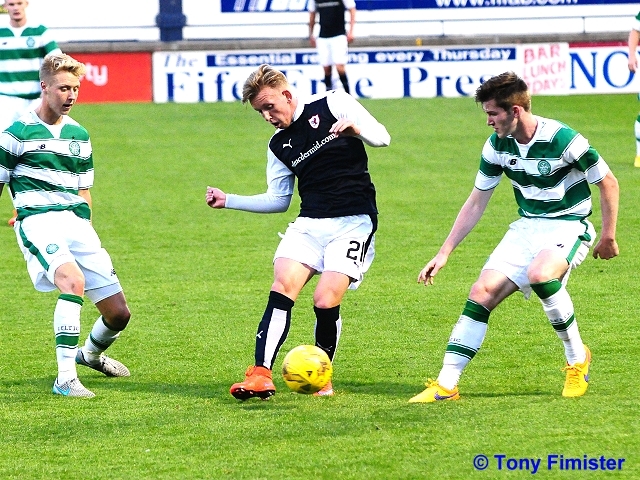 Like Raith, Celtic have had a busy pre-season, which started in Paisley at the beginning of July, when an early goal from Gary Mackay-Steven set them on the way against Dutch outfit, Den Bosch. 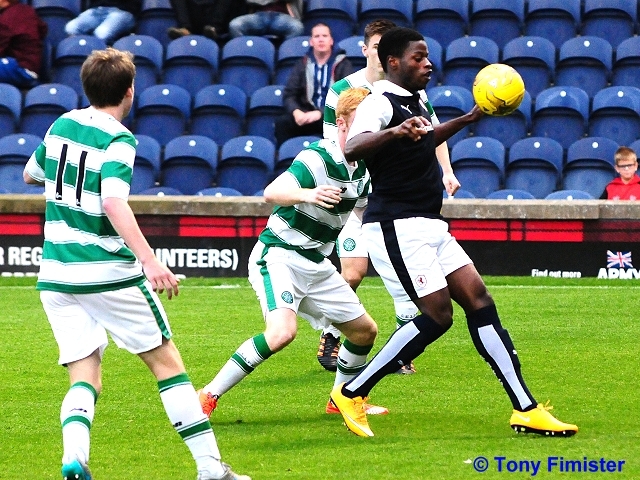 An own-goal eventually sealed a 2-0 victory. 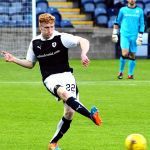 The former Dundee United man was again on the mark against Dukla Prague, along with Lee Griffiths and Virgil Van Dijk, but that wasn’t enough as the Czech side rattled in five in an entertaining contest. 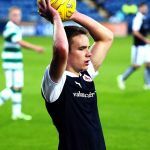 Mackay-Steven scored for the third game running, when his solitary strike was enough to see of Davie Moyes’ Real Sociedad team, while Griffiths was the main-man against Spanish side Eibar at the weekend, when his hat-trick followed Efe Ambrose’s first half strike as Celtic ran out 4-1 winners. Like earlier opponents Aberdeen, Celtic are already into their competitive campaign, after goals from Dedryck Boyata and Stefan Johansen eased them to a 2-0 win over Stjarnan of Iceland in the first-leg of their Champions League qualifier. 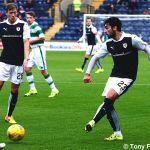 Raith Rovers and Celtic last played each other in a Scottish Cup tie in February 2013, when a Kris Commons penalty, and two late goals from James Forrest and Charlie Mulgrew sealed a 3-0 win at Stark’s Park for Neil Lennon’s side. Tuesday evening’s match referee will be Willie Collum.